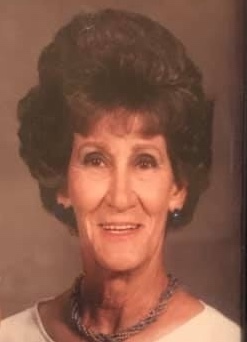 Odem - Mae M. Roper, age 90, passed away peacefully on April 9, 2019. For the past two years, Mae had lived at Windsor Calallen Nursing Home where she was loved by the staff and her many friends. Her family wishes to thank the staff at Windsor for taking such loving care of her while she was there. Mae was born in Yoakum, Texas on April 28, 1928 to Edward and Emma (Hoopka) Kahanek. Her family later moved to Kingsville, Texas where she met her husband of 65 years, David Les Roper. Mae worked as a bank teller and office manager for First State Bank in Taft, Texas. She also worked for Ford Dealership. She is preceded in death by her husband, Les; her parents, Emma and Edward Kahanek; her sisters Edith Durden and Helen Rogers. Mae is survived by her daughter: Roxie Foust and husband Don of Bryant, Arkansas; son: Scott Roper and wife Cynthia of Odem, Texas; granddaughter: Lezlie Wiederhold and husband Kevin and great granddaughter Paige of Wylie; her brother Eugene Kahanek of Texarkana, Texas; and several nieces and nephews. The family wants to express their special thanks to her niece Debbie Keeble of Corpus Christi who shared a close, loving relationship with her. A memorial service will be held Saturday, June 8 at 10am at First Baptist Church of Odem. There's still time to send flowers to the Memorial Service at the First Baptist Church of Odem at 10:00 AM on June 8, 2019.